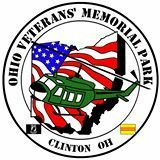 MCTV is pleased to recognize The Ohio Veterans’ Memorial Park in Clinton, OH as our Community Organization of the Month. Please join us in thanking them for their efforts to remember those we have lost in combat. You can support them financially at our office or online at www.ovmp.org. The mission of The Ohio Veterans’ Memorial Park is to honor all veterans from all wars, remembering their sacrifices for our freedom and safety, and celebrating their lives. In May of 2009, the 125 foot long polished black granite wall with the names of the 3,095 Ohioans lost during the Vietnam War was dedicated in Clinton, Ohio. The wall is the flag ship of this memorial. Since the dedication several other monuments have been added with several additional monuments planned. They have also added the names of those Ohioans lost during the War On Terrorism, beginning with the Beirut Bombing to the east side of the wall, with future plans to add the names of those that "Gave All” during the Korean War. The Ohio Veterans’ Memorial Park is funded by private donations and corporate sponsors. Funding has been provided by individuals, companies, civic organizations, churches, towns, cities and others who wish to say THANK YOU to Ohio's Heroes. The Ohio Veterans' Memorial Park never closes. It is open 24 hours a day, 7 days a week and 365 days per year. The park is lit at night and we encourage you to visit the park after the sun has set. There is something surreal about the park at night. You would need to experience it to understand. The memorial park is actually made up of several different memorials with more to be added in the future. The Ohio Veterans’ Memorial Park has an annual 5K/10K Run to the Wall that is part of the Subway Challenge Series Races. This year’s race will be held on Saturday, August 1, 2015. For more information, you can go to www.runforovmp.com. There is also an annual motorcycle ride to honor Ohio’s heroes. This year’s ride will take place on Saturday, July 11, 2015 and begins at the MAPS Museum in North Canton, Ohio. For more information on this event, please go to www.3095ride.com. The Ohio Veterans’ Memorial Park, along with MCTV, salutes all of those who have taken an oath to protect The Constitution Of The United States Of America, the cause of liberty and the safety of the citizens of our nation.